With the Wizards and Trail Blazers tied in the final seconds of regulation, Portland had the last shot. Damian Lillard brought up the ball for a high pick-and-roll with Jusuf Nurkic. Seth Curry nestled himself deep in the left corner. 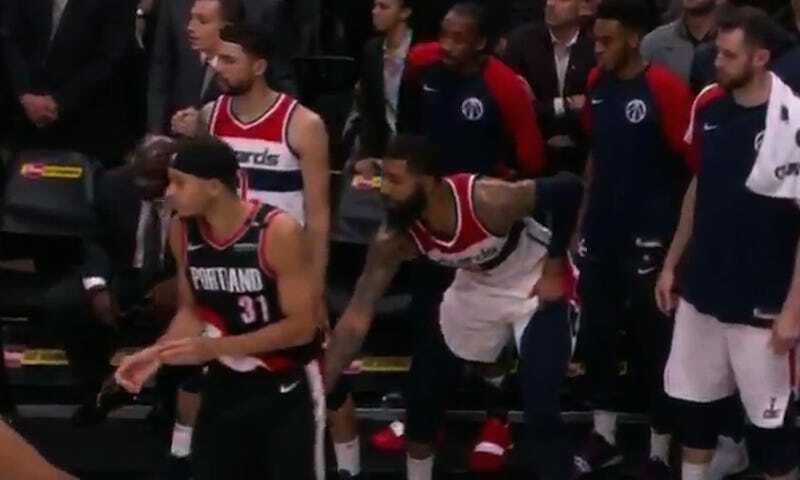 And Markieff Morris, who was not closing this one out for the Wizards, saw an opportunity to bully from the bench. Lillard never really looked for the pass anyway, and the best part might actually be Curry’s (justified) flop to sell the, uh, contact. The Blazers didn’t score, and the teams went into overtime. Somehow, officials didn’t nab Morris for his pantsing maneuver during the game, which the Wizards won 125-124.